A sit-in by students from the Tehran University in protest to the brutal suppression of fellow students, in particular during the recent dormitory raid, continues in the university mosque. 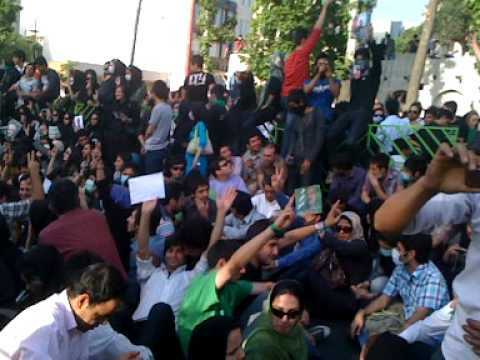 Farhad Rahbar, an agent who was appointed by Mahmoud Ahmadinejad as dean of the university attempted to join the students in order to prevent any escalation of their actions, but his presence was met with further protests. Agents of the Revolutionary Guards late on Sunday raided the university dormitory and assaulted and arrested many of the students. In another development, more than 120 university professors collectively resigned in protest to the killings of students by suppressive forces, and they joined the protestors. 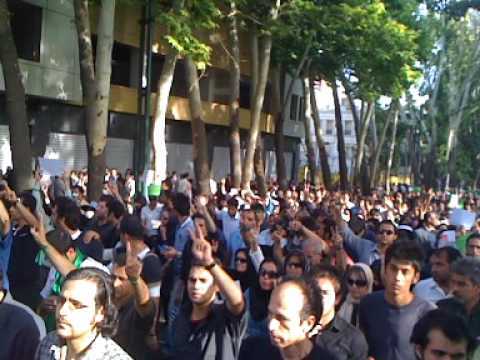 As violence flares in Tehran over the apparent reelection of President Mahmoud Ahmadinejad, the Obama administration should help Iranian citizens obtain unfettered Internet access through distributed networks, some civil liberties activists advised. Iranians outraged over allegations of vote rigging reportedly have been text messaging each other to organize impromptu rallies in support of the defeated reformist candidate Mir Hossein Moussavi. But the conservative government has been periodically shutting down access to social-networking services, according to multiple news sources.